I love caramel – it’s probably my ‘go to’ sweet of choice, but obviously it’s usually out of the question if you’re dairy-free. I’ve always shied away from attempting confectionary; sugar concoctions seems so scary and unobtainable, but I’ve leant that you really don’t need to be scared. 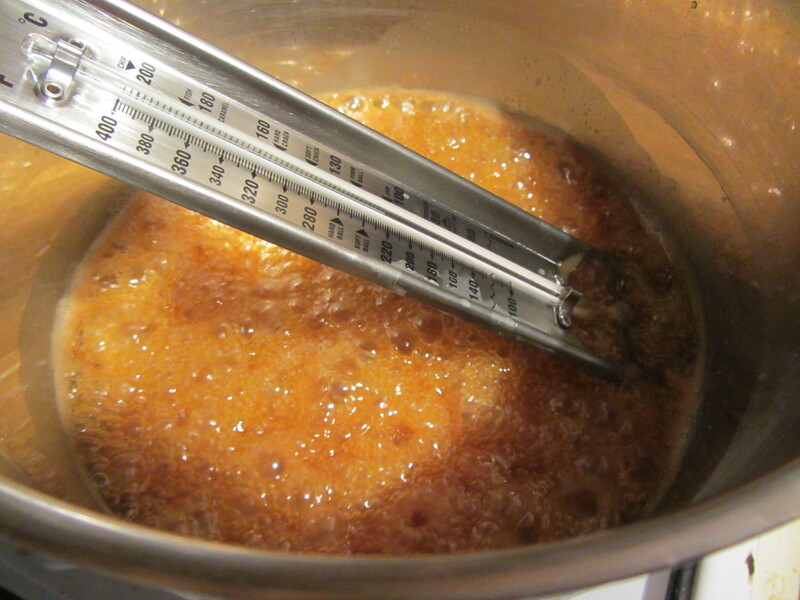 As long as you’re careful and if possible use a sugar thermometer it’s as simple as can be. While most caramel is dairy heavy, these don’t suffer at all from using alternatives, in fact I would challenge anyone to notice a difference. We didn’t. The salt is key, it’s amazing how a little sprinkle can not only tame the sweetness but also highlight the flavours. A perfect gift, whether for Valentine’s Day, a friend or just yourself! – Line a baking tray with parchment and oil well. – Melt together the oat milk and dairy-free spread. Set aside. 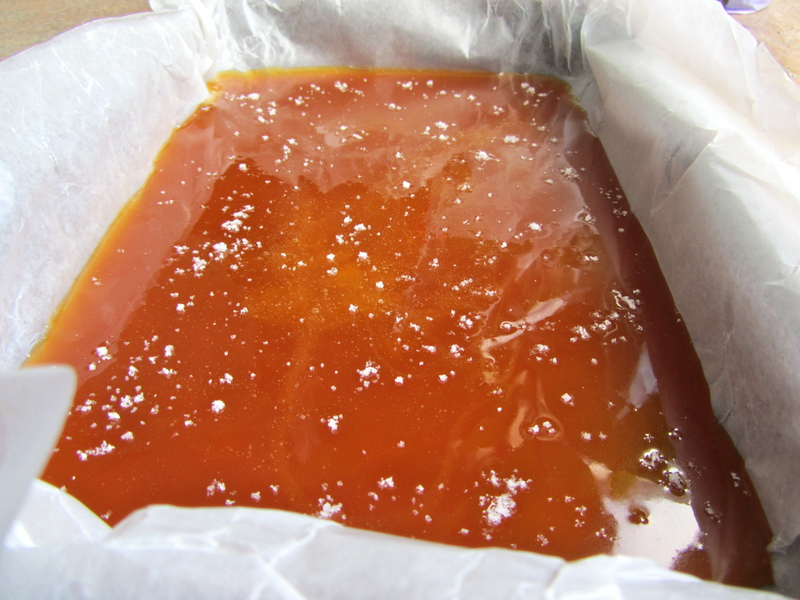 – Pour the syrup and sugar into a saucepan. Heat to melt the sugar. 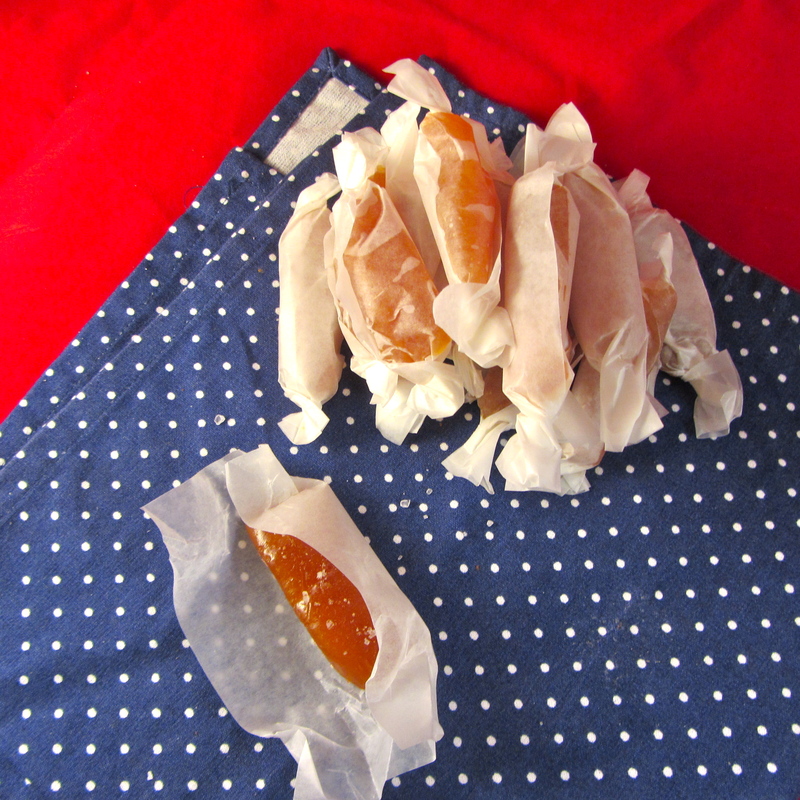 – Stir in the cream and spread mixture. – Heat to 240 degrees Fahrenheit (or to between soft and hard ball stage). 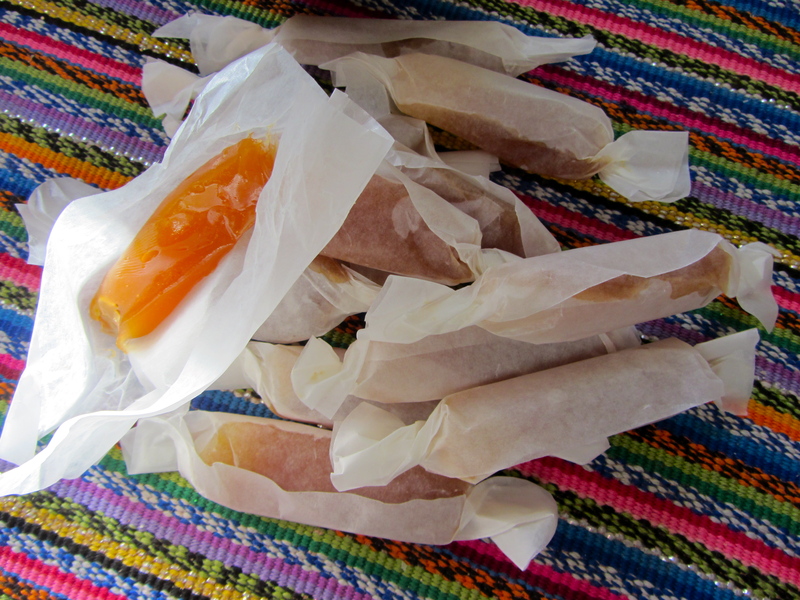 – Wrap in waxed paper and store in a sealed container. These keep well for a couple of weeks. 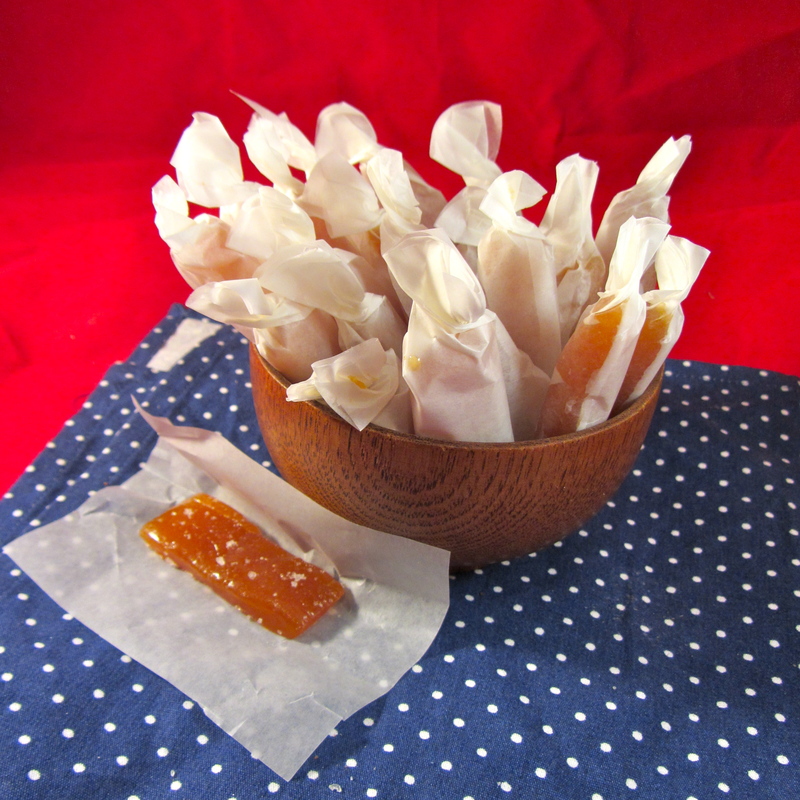 The caramels look wonderful! Great for my gluten-free and vegan friends. I don’t use milk, just dairyfree cream (my choice is oat but any would work). I haven’t tried the recipe with milk as I think it needs the extra luxurious texture provided by the cream.